Opal, Janet, Stuart, Clyde, Ale, Tad, Cliff, Angie, and Greenley are Beer Puppies! 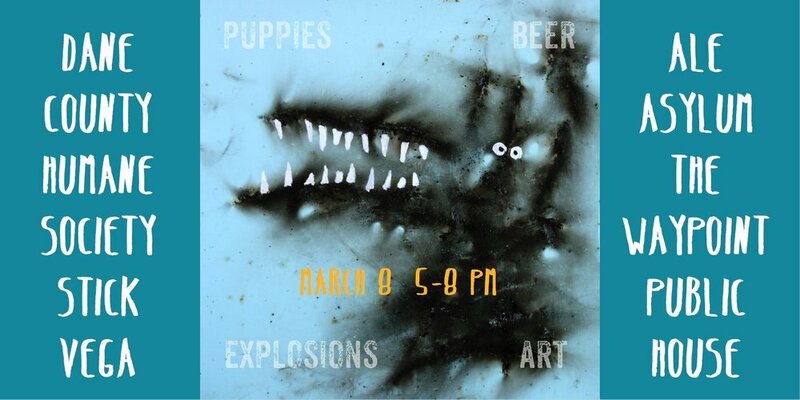 They were created for the Dane County Humane Society Benefit featuring Ale Asylum at The Waypoint Public House. The show starts March 8th. 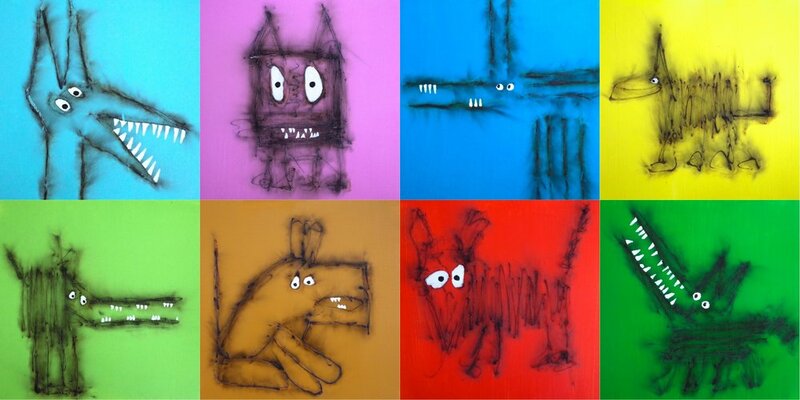 They are fuse and gunpowder burned acrylic paintings on paper by Stick Vega. To buy one you can go here. They will be released for sale March 8th.